THE MATERIALS IN THIS SITE ARE PROVIDED "AS IS" AND WITHOUT WARRANTIES OF ANY KIND EITHER EXPRESS OR IMPLIED. TO THE FULLEST EXTENT PERMISSIBLE PURSUANT TO APPLICABLE LAW, WE DISCLAIM ALL WARRANTIES, EXPRESS OR IMPLIED, INCLUDING, BUT NOT LIMITED TO, IMPLIED WARRANTIES OF MERCHANTABILITY AND FITNESS FOR A PARTICULAR PURPOSE. WE DO NOT WARRANT THAT THE FUNCTIONS CONTAINED IN THE MATERIALS ON THIS SITE WILL BE UNINTERRUPTED OR ERROR-FREE, THAT DEFECTS WILL BE CORRECTED, OR THAT THIS SITE OR THE SERVERS THAT MAKE SUCH MATERIALS AVAILABLE ARE FREE OF VIRUSES OR OTHER HARMFUL COMPONENTS. WE DO NOT WARRANT OR MAKE ANY REPRESENTATIONS REGARDING THE USE OR THE RESULTS OF THE USE OF THE MATERIALS ON THIS SITE IN TERMS OF THEIR CORRECTNESS, ACCURACY, RELIABILITY, OR OTHERWISE. APPLICABLE LAW MAY NOT ALLOW THE EXCLUSION OF IMPLIED WARRANTIES, SO THE ABOVE EXCLUSION MAY NOT APPLY TO YOU. 1. By using this website, you agree, without limitation or qualification, to be bound by, and to comply with, these Terms and Conditions. 2. No information on this site is intended as, or shall be construed as, legal, financial, medical or expert advice of any kind. RawAndOrder.com is not responsible for typographical errors, editing errors, or news source errors. WE STRONGLY SUGGEST THAT YOU SEEK ADVICE FROM A COMPETENT PROFESSIONAL REGARDING ISSUES IN ANY MEDICAL OR OTHER PROFESSIONAL FIELD.  Individual products and articles are based upon the opinions of the respective author or information gathered from the manufacturers/vendors website and are not necessarily those of RawAndOrder.com. The information on this website is not intended to replace a one-on-one relationship with a qualified health care professional and is not intended as medical advice. It is intended as a sharing of knowledge and information only. RawAndOrder.com encourages you to make your own health care decisions based upon your research and in partnership with a qualified health care professional. 4. RawAndOrder.com may provide, or third parties may provide, links to other sites or resources located on the World Wide Web by allowing a user to leave the RawAndOrder.com site to access third-party material or by bringing the third party material into this site. RawAndOrder.com has no control over such sites and resources. You acknowledge and agree that RawAndOrder.com is not responsible for the availability of such external sites or resources, and does not endorse and is not responsible or liable for any content, advertising, products, or other materials on or available from such sites or resources. You further acknowledge and agree that RawAndOrder.com shall not be responsible or liable, directly or indirectly, for any damage or loss caused or alleged to be caused by or in connection with use of or reliance on any such content, goods or services available on or through any such site or resource. 5. RawAndOrder.com may publish excerpts and summaries from copyrighted works under Fair Use, which allows the use of copyrighted materials for purposes of commentary and criticism for the public interest. RawAndOrder.com has no intention to compete with the original copyrighted content. Rather, it is RawAndOrder.com's intention to promote such content and deliver readers to such content. Accordingly, when RawAndOrder.com cites a copyrighted work for commentary or criticism, RawAndOrder.com acknowledges the original source and places a clickable link that offers users the opportunity to click directly to the original source of such information. Please put "Notice of Infringement" in the subject line of all such notifications. 6. RawAndOrder.com reserves the right to modify the WEBSITE from time to time, for any reason, and without notice, including the right to terminate the WEBSITE. RawAndOrder.com reserves the right to modify these Terms and Conditions from time to time, without notice. Please review these Terms and Conditions from time to time so you will be apprised of any changes. 7. RawAndOrder.com's failure to exercise any right or provision of these Terms and Conditions shall not constitute a waiver of such right or provision. If a court of competent jurisdiction holds any provision of these Terms and Conditions to be invalid, the parties nevertheless agree that the court should endeavor to give effect to the parties' intentions as reflected in the provision, and agree that the other provisions of these Terms and Conditions remain in full force and effect. 8. Should you violate these Terms and Conditions or any other rights of RawAndOrder.com, RawAndOrder.com reserves the right to pursue any and all legal and equitable remedies against you, including, without limitation, terminating any and all access and or user accounts on any and all of the RawAndOrder.com web sites. 10. In some cases, YouTube videos are used on product pages. The videos referenced are for informational purposes only, and in no way does the speaker in the video endorse the product being offered for sale, unless specific reference is made to the brand and variety being offered for sale. 11. Currency. RawAndOrder.com offers currency conversion as a convenience for it's international customers, however we use United States Dollar currency pricing in all our product offers and as such, the currency conversion is to be used as a guide only. Your payment method will be charged in United States Dollars and will be subject to the conversion rates as stipulated by that payment method. Should you require a true estimate of the conversion rate to be used by your credit provider, please contact them directly to attain their conversion rates.